We believe the business world can and should do more to help those in need. We believe the business world can and should do more to help those in need and to help existing charities more effectively serve their causes. The concept of social entrepreneurship has gained traction in recent years as a technique by start up companies and entrepreneurs to develop, fund and implement solutions for social issues. Our firm’s approach to social entrepreneurship has been to establish a private charitable foundation upon the successful exit of a business or investment. Where possible, we like the charitable foundation to have a theme or philosophy that builds upon the business or investment being exited. Ward Family Foundation, Inc. was established in 2000 in connection with the successful exit of a start-up data analytics business. The foundation was established to assist existing charities improve their effectiveness by implementing best practices. There is a vast network of excellent programs already in place to serve many worthwhile charitable causes. The foundation’s mission is to help these existing programs become more effective. The foundation recognizes the fundamental right of each human person to life, food, shelter, clothing and medical care. 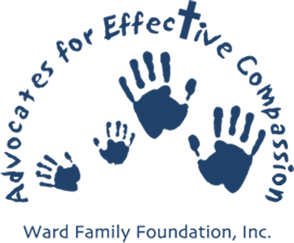 Ward Family Foundation is a 501 (c)(3) tax exempt organization operating as a private operating foundation. The Michael J. Ward Memorial Foundation, Inc. was established in 2011 in connection with the successful exit of a private equity investment. The foundation was established in memory of Mike Ward who died on December 30, 2009 at the age of 41 after a 27 month battle with brain cancer. The foundation supports a number of causes, although it focuses primarily on sacred art and the related disciplines of manuscript illumination and calligraphy. The Michael J. Ward Memorial Foundation is a 501(c)(3) tax exempt organization operating as a private operating foundation.